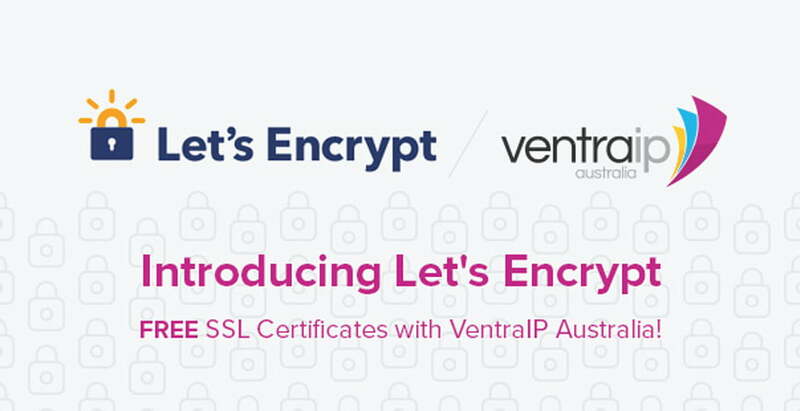 We are proud to be the first Australian cPanel partner to offer one-click Let’s Encrypt free SSL certificates to all of our shared web hosting customers. Let’s Encrypt is a service provided by the Internet Security Research Group, sponsored by Facebook, the Electronic Frontier Foundation (EFF), the Mozilla Foundation, Akami and Cisco Systems. It left beta on April 26, 2016, and has since issued more than 2,000,000 certificates worldwide. Our CEO, Angelo Giuffrida, said the new free service would be beneficial to customers in many ways and maintains our mantra of being on the forefront of new technology and trends. “This is a great example of where our tech-savvy customers demanded a service and we have delivered it, but it will not only benefit them but it will also benefit our customers who have never had an SSL certificate on their web site who we hope will educate themselves on the benefits of having secured traffic to their web site”. “It also allows us to remain on the cutting edge of industry trends and deliver them to a local audience before our competitors”, he said. Simply login to VIPControl, choose Manage Hosting Services, click the blue cog, and select Let’s Encrypt from the configuration menu. Then all you need to do is select the hosting service you wish to install the certificate to and click Install. That’s it! Your new SSL certificate will be installed. This service is currently available to all customers. Economy and Business customers can install the SSL to their primary domain only, with add-on domains to be available within a couple of days. WHM Multi customers can install to the primary domain of their sub-accounts, with add-on domains to be added within a couple of days.